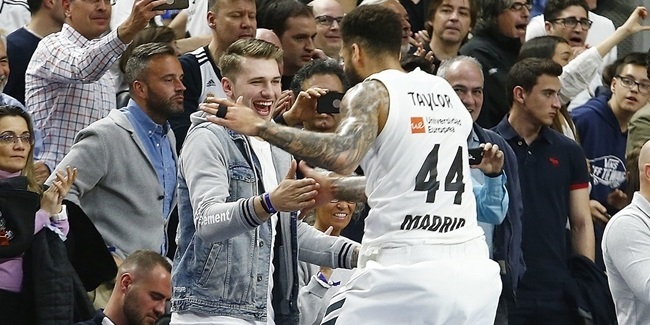 Real Madrid clinched a playoff spot with seven games to go in the regular season after pulling away in the second half to beat FC Bayern Munich 91-78. 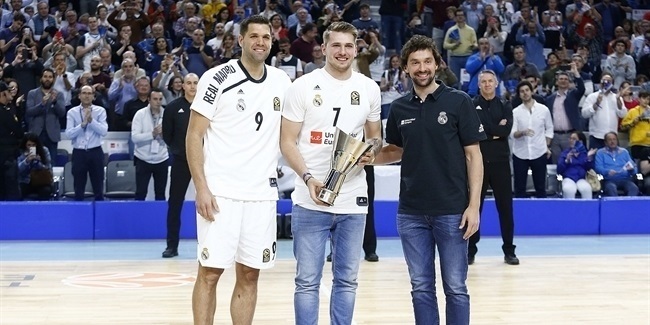 Madrid featured five different double-digit scorers led by Sergio Llull with 15 points. However, it was forward Anthony Randolph who quietly did damage on both ends of the floor. "In general, everyone has been able to give us something," coach Pablo Laso said after victory. "Randolph played a great game, probably not so much for his numbers, but for his defense on [Derrick] Williams." Williams, Bayern's top scorer, was held to 9 points after shooting 0-for-4 from three-point rage and had as many rebounds (2) as turnovers in 32 minutes. By not allowing Williams to get going, and with Walter Tavares controlling the paint, Bayern's main way to facilitate offense was by knocking down 11 triples and at least half-a-dozen mid-range jump shots. That worked for one half, but then Madrid pulled away. On the other hand, Madrid had no offensive struggles. When Bayern got too close – within 1 point on three occasions early in the third quarter – it was Randolph who rose up and turned into the main offensive protagonist. He scored 11 of his 13 points during a 25-7 spurt that broke the game open as Madrid turned a 46-45 lead into a 19-point strangle-hold at the end of that third quarter. In that run, Randolph started with an easy fastbreak dunk to make it 52-45. Then added a layup and knocked down a three-pointer to make it 62-47. 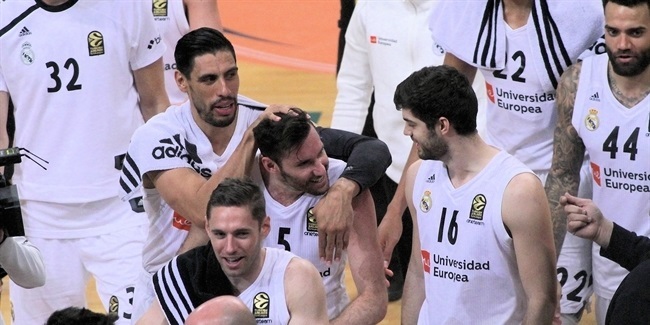 Then, he capped the quarter with a rare four-point play – a triple and free throw combination – with 1.4 seconds left for a 71-52 Madrid advantage after 30 minutes. Somehow, it felt as through Randolph achieved his heroics quietly in this game. You might say he has been doing the entire season. In the defending champions' well-oiled machine, Randolph is the only player to have started every game for Madrid this season. He is the team's top scorer (13.3 ppg.) and shoots a team-best 47.1% from three-point range. Randolph is Madrid's third-best rebounder (4.7 rpg.) and has the second-highest average PIR, 15.4, on the team. Quite a year for Madrid's quiet warrior.